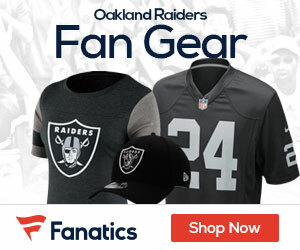 The Oakland Raiders dropped their early season record to 0-3 this past Sunday as they fell to the New England Patriots 16-9. Despite some decent play by rookie QB Derek Carr, the Raider’s failed to score a touchdown in the game. Oakland’s offense looked lackluster at best and was sorely missing new RB Maurice Jone-Drew, who was sidelined for the second straight week with a hand injury. The Raider’s rookie QB Derrick Carr threw the ball 34 times with 21 completions for 174 yards and 1 INT. The Raiders leading rusher for the game was Darren McFadden, who racked up 59 yards on 18 attempts. Oakland’s only scoring of the game was 3 Field Goals by Sebastian Janikowski. Up next for the Raiders is the 1-2 Miami Dolphins in Wembley Stadium in London..